Not every piece of furniture lasts forever. Tastes change – your orange loveseat may not match your new blue wall paint. Maybe forgetting to use a coaster has finally warped the coffee table wood. Or maybe the recliner lost its comfort once it stopped clicking back into place. There are many reasons to replace furniture, but because it’s such a big investment it can be tough to know when to pull the trigger. When should I buy new furniture? Low-grade furniture might not survive a move. There are many moving companies that don’t offer a safety guarantee on certain discount brand products. These brands are constantly innovating to make their products cheaper, and they long ago hit the point where a vibrating truck can lead to an end table’s demise. However, this isn’t a single brand issue. Veneers can split. Weak wood will dent. Unless you’ve invested in quality furniture, it’s a gamble on whether your living space will survive a trip across town. If your furniture is intact, it may be hard to justify replacing one piece of furniture with another. But consider its lifespan. If you’ve come across a piece of quality furniture at a good price, you may regret holding off. If you are buying for longevity, make sure the furniture is made from solid wood. Look for stain-resistant upholstery fabrics. You don’t need to wait until furniture crumbles before you upgrade to furniture that doesn’t crumble. Some furniture has an expiry date. Mattresses are prime examples. They have a lifespan of 5-10 years. In that time they get dirty and lose their form. A general rule is: if you sleep better away from home, you probably need a new mattress at home. Rugs see a lot of foot traffic. Low-end rugs last 1-5 years whereas high-end rugs can last up to 25. An often-used sofa will likely last 6-15 years. Should I buy offline or online? Shopping at online furniture stores can seem like a risky experience as you don’t get a firsthand look at an item you are purchasing. Walk-in stores have sales reps where online stores have product description. However, stores that operate exclusively online cut out the cost of showroom and storefront real-estate, passing those savings onto the customer. How can you get the most out of your online or walk-in experiences? 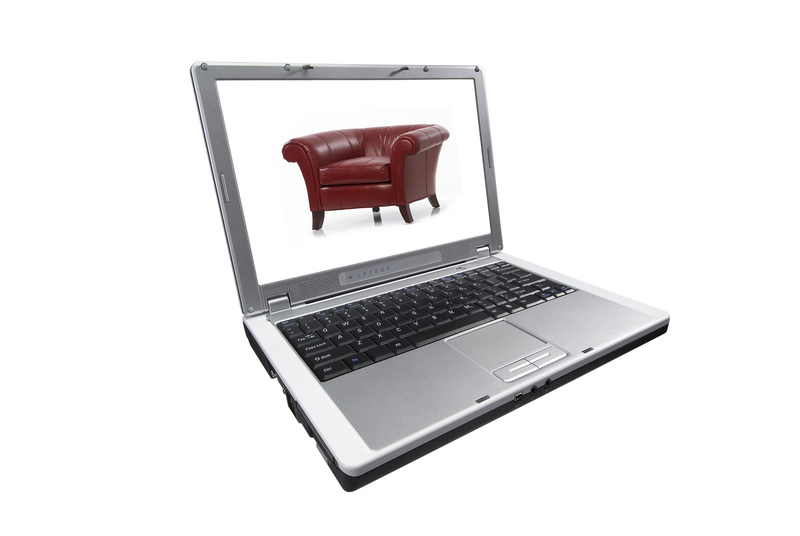 Many online furniture stores offer flexible return policies to take the risk out of online shopping. Check the return policy before committing to your credit card to a living room set. Read item descriptions carefully. Online descriptions tend to be thorough, so determine quality by looking for keywords in the details. Remember, photos are never perfect – Don’t try to colour match products from different online retailers. Always check prices. The best part about online shopping is you can easily compare rates from store to store. Walk in stores have a sales people – this is both good and bad. One sales trick they use is to watch a customer show interest in a piece, and come over to overstate its quality. However, a good sales rep will give you a fair description of products. If you build a solid relationship with them, they may offer you a deal. Depending on the store, you may be able to negotiate price. Are online reviews helpful when choosing a furniture store? Developers are doing what they can to make the realm of web reviews more reliable. Google Shopping is an amalgamation of products and stores. If you have a specific product in mind, type it into Google Shopping. Reviews of both the product and stores that sell them will come up. The sheer quantity of reviews allows you some discretion. The problem with Google Shopping is that stores need to pay to be included, which means a smaller store that matches your taste will often not be on there. For web reviews of walk-in stores, check the Better Business Bureau’s website. Web reviews are statistically trusted by shoppers – almost as much as personal recommendations. Look for reviewers who offering personal details in their comments. These will allow you to judge their criticism against your taste. When buying furniture, who can help you get rid of your old items? Many people sell their furniture on craigslist or Kijiji. Quality items can still bring in a fair value, even though it’s second hand. For anyone who doesn’t need that extra buck, furniture banks will pick up furniture from your house and relocate it to families in need. Furniturebank.org runs in the Greater Toronto Area. They charge $100 per pick up, but that money is used to keep the charity functioning. With pick-up services and online retailers, updating furniture is simpler than ever. Don’t be afraid to look at your living space with a careful eye. A more supportive mattress can benefit your daily sleep patterns, like a well-built coffee table can assist your piece of mind, and a stylish loveseat can bring you confidence in your living space. Updating furniture is a commitment, but there are plenty of reasons that make it worth it.